We’ve come a long way since that first metered taxi cab was built by Gottlieb Daimler in 1897. Over the years, the industry has evolved. In the 1940’s cabs, are equipped with two-way radios to receive dispatches without needing a call box. By the mid-2000’s, most cabs are outfitted with credit card readers. And then Uber came along in 2009 and put the pedal to the metal. Small changes in the taxi industry are out-shined by huge breakthroughs in just a few quick years. With the Uber application, you can request a ride, verify the identity of your driver and pay without having to speak with anyone. And now you can Uber somewhere with no one driving! We can only sit back and watch as our economy, the car insurance industry, and our travel habits are changed from these self-driving technologies. That’s right, you can get a ride from a self-driving Uber car. Companies like BMW, GE and Ford have declared that their autonomous cars will be ready for the public by the early 2020’s, but Uber recently announced that they will be running autonomous cars sooner than that. In fact, they’ve already started picking up riders in autonomous cars. Select customers are offered free rides to be a test subject in one of the self-driving Ubers. Where can I ride in an autonomous Uber? Uber has begun testing in Pittsburgh, which they picked carefully. In 2015, Uber decided to build a headquarters in Pittsburgh. The company saw Carnegie Mellon as a hub for engineering talent. The new headquarters was intended to employ 200 people, which quickly grew to 500 and is now projected to continue to rise to 1,000. Now that Pittsburg has headquarters established and the mayor’s blessing, the city of Pittsburgh is giving Uber the perfect atmosphere it needs to grow. Pittsburgh is an old city, with narrow, one-way streets, congestion and lots of inclement weather. If Uber can make autonomous vehicles work in a city with this many obstacles, they feel confident they can bring their system anywhere. Uber’s first expansion past Pittsburgh was into San Francisco on December 14th, 2016. However, regulators quickly forced Uber to remove their self-driving cars off the streets. The California DMV required Uber to have proper permits. However, Uber refused and the two parties could not come to an agreement. 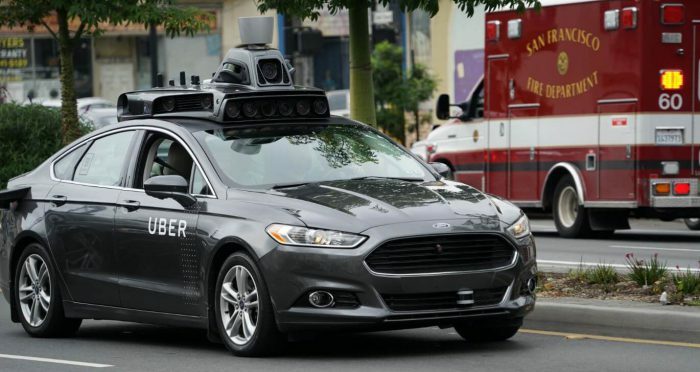 In turn, Uber transported their 16 autonomous vehicles to Arizona. The strategic move was due to more lenient regulations that will allow them to continue their testing phase. Uber is clearly confident, but are autonomous cars actually safe? You may have read about the person who was killed when his autonomous Tesla merged into a tractor trailer and think, autonomous cars really can’t be THAT safe. Autonomous cars alone might not be 100 percent safe yet, but Uber is taking precautions to ensure people’s safety. There is a non-driving driver in the car, who has their foot hovering over the brake and hands lightly on the wheel, ready to take over. 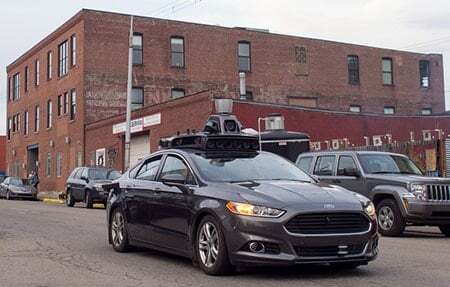 Seeing an autonomous car pulling up as your Uber might make you nervous, but – not that this will entirely make you feel better – the tests are very much worth it in the long-run. Nearly 37,000 American die every year in car crashes, with over 90 percent of the blame put on human error. If Uber’s autonomous test contributes to reducing human errors to zero, that’s a meaningful reduction in loss of life.